Back in February of this year, a fantastic e-book titled Dieselpunk ePulp Showcase was released. 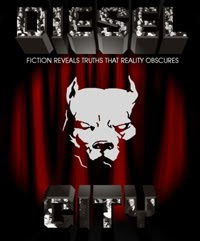 This anthology contains four excellent Dieselpunk short stories written by Dieselpunks. 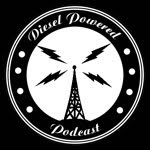 It’s free and you can download it from here a variety of formats. It’s a great anthology and I highly recommend it. 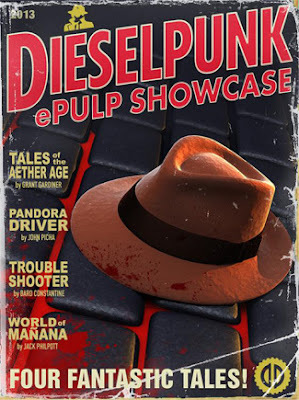 Featuring works by Grant Gardiner, John Picha, Bard Constantine, and Jack Philpott, the writers of Dieselpunks.org would like to present the very first Dieselpunk ePulp Showcase. Our last tale is set in the World of Mañana by Jack Philpott… The dirty streets of Roanoketown were his home and his only family, until he met HER. Now he'll follow HER into hell, tamahaak held high, and fight as a proud Indian against the Anglo Oppressors. He'll wager his life to be a true "Friend of the Spirits."